Click Here! For Free Audio Meditation Mp3 Downloads. These meditations are gifts to you from the University of Metaphysical Sciences. Enjoy! Included are: Deepening the Silence ¤ Follow the Breath & Observing the Body ¤ Exploring the Auric Layers ¤ Visit the Angels These are just a few of the audio meditations our students study along with course work at UMS. Click Here! For Over 20 Free Videos and Satsangs. View over 20 YouTube videos on this page featuring Christine Breese, founder of the University of Metaphysical Sciences. Click Here! For Lots of Free Reading Material. See all the Starlight Journal Newsletter Issues, with multitudes of articles and poetry, this including the current issue. These are all the articles and entries in the Starlight Journal since 2003 up to now! Click Here! For Free Daily Positive Affirmations. UMS offers free daily positive affirmations to help you learn how to feel positive and enjoy happiness. Positive thinking can help you set an example for others. A positive affirmation is a self quote that helps stop negative thinking. The University Of Metaphysical Sciences considers metaphysics a science, the most basic reason being that thought affects matter, as many scientists have proven with laboratory observations. Bewildered doctors have also observed this phenomena in their terminally ill patients who suddenly recover simply by adjusting attitudes or thoughtforms about the self, others, or the world in general. What you will be learning at University Of Metaphysical Sciences is what many have called alchemy, something that was long ago taught in spiritual mystery schools only to those who had proven themselves worthy through long term observation by a master teacher. Only once the student had proven unwavering dedication to exploring the mysteries of consciousness, and attained a certain level of skill, would he (usually a mystery school education was only available to males) be invited into the inner circle of teachings. In the present era, this is no longer the case. These teachings are now available to everyone. Most students complete studies in approximately one year. It is required that the student finish within five years at the most. Each student moves through the program at an individual pace. The doctorate degree might take approximately two years to complete if the student cannot dedicate much time to studies, one year if the student is able to spend more time on studies. Some students find it very easy to complete in one year if he or she has knowledge of these subjects by previously studying on his or her own, has plenty of time to study, and has already done much self introspection and healing. Those who have not might want to take a little more time to move through the program. Lessons consist of reading material and meditation journeys. Most written lessons take about 2-3 hours to read and 1 hour to complete the exam questions. The reading material has easy-to-find answers to a few questions per lesson. The student returns the answered questions for credit. The lessons on CD are meditation journeys. The student briefly describes his or her experience of the meditation and returns the description for credit. All descriptions are accepted, for there is no wrong way to experience the meditations. 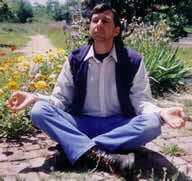 Experiences of the meditations are unique to each person. Meditations vary from 15 to 30 minutes in length. Courses are completed through the mail or over the internet. For those who do not easily have internet access, lessons are sent via postal mail with a minimal wholesale cost for materials, $385, payable in small payments with the short, medium or long term payment plans (cd player or headphones not included). For an extra charge (postage), hard copy lessons can be sent to foreign countries. Downloading lessons from the internet saves the student time and money, and the fee is only $155 and no postage or duty/import fees are required. Courses can be downloaded in PDF (written) and MP3 (audio) formats. In brief, the Bachelor's program consists of written and audio lessons. To complete the Masters program, a 5,000 word essay (about one book chapter in length) must be written on a metaphysical subject in addition to the lessons. To complete the Doctorate program, a 10,000 word doctoral dissertation must be submitted (the equivalent of two book chapters) and there are no written or audio lessons. If you would like to take a tour of our Student Center, click here. If you would like to see what it's like to take our Online Exams, click here! Please note that University Of Metaphysical Sciences reserves the right to add, change, remove or improve courses and course materials at its discretion. The written material in the courses was heavily researched by a team of more than 40 writers working closely with the founder of University Of Metaphysical Sciences. Hundreds of books have been used as references for the entire curriculum. Many points of view are mentioned in order to give the student a thorough presentation of common concepts in metaphysical subjects, even if they are differing or opposite parts of the spectrum. Quotes from these books are used in the courses to support statements and concepts conveyed in the written material. 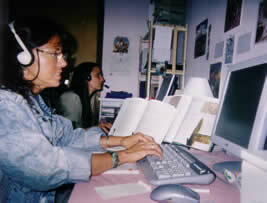 Our research team was meticulous and diligent in collecting information from various sources. All this research was done in order to condense the material into notebook form for the student. This eliminates the need to buy textbooks at retail prices, which can be quite costly for the student. The pertinent information has already been drawn out of the books and only the essential information is included for the student. The courses are streamlined to get right to the point on every subject. The written material will serve as a reference section in the graduate's library long after the desired degrees have been attained. Internet downloads of written materials are delivered as PDF files. The audio portions of the courses were created for the experiential aspects of what the student learns in the written material. The meditations are facilitated by the founder of University Of Metaphysical Sciences. 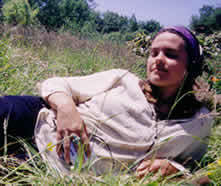 Breese has a soft, trancelike voice and beautiful meditative music is used in the background. A few meditations use no music at all in order to create greater depth of stillness and concentration with no distractions whatsoever. 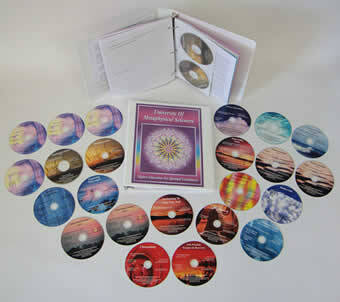 Audio lessons come on 25 CDs, 25 hours worth of meditations. On the internet, the student will download MP3 files for audio portions of the lessons. If you would like to read about the Internet Downloads and see what your sign in page would look like that takes you to your personal authorized downloads page, Click Here on Student Center. The courses are designed to give the graduate a broad understanding of metaphysical subjects. The material spans several religions and belief systems so that the graduate will be well versed in the ideas many parts of the population hold. It is important for the student to be exposed to all areas of spirituality for a broader understanding of human nature. Some of the courses are meant simply for the student's self-introspection and self-inquiry, which is a necessary and ongoing practice for any teacher, healer, or leader. Audio meditations will serve the student for many years. The student is highly encouraged to investigate more deeply the subjects that interest him or her. Recommended reading is given on every subject in the curriculum for further study, although it is not required, and a complete bibliography of reference material is given. The graduate will have a resource of lists, diagrams, exercises and information which can be referred to anytime the need comes up in his or her professional practice. For instance, many of the courses have easy to use reference lists like the properties of herbs, sacred symbols, dream symbol indexes, and other quick access reference lists that the student will find useful.